Whisk together dry ingredients, except chips and nuts, in a large bowl. In a separate bowl, mix wet ingredients until well-blended. Make a well in the center of the dry ingredients and incorporate milk mixture until just combined. Stir in chips and nuts. 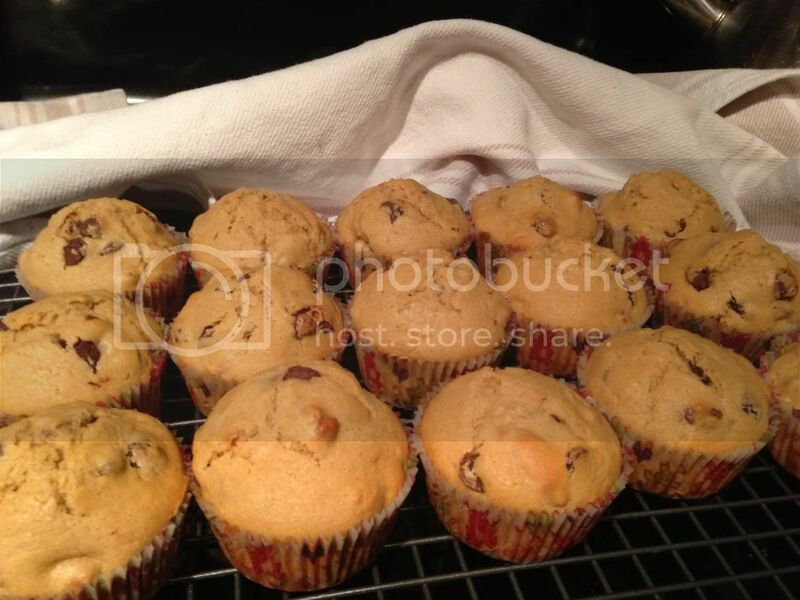 Using a muffin scoop, fill prepared muffin pan 2/3rds of the way. Bake 15-20 minutes or until a cake tester comes out clean. Cool in pan for 5 minutes before turning out onto wire rack.